Jahn, J. L. S. & Johansson, C. (2018). The communicative constitution of adaptive capacity during Sweden’s Västmanland wildfire. Corporate Communications. An International Journal, vol. 23: 2, ss. 162-179. Johansson, C. & Bäck, E. (2017). Strategic Leadership Communication for Crisis Network Coordination. International Journal of Strategic Communication, vol. 11: 4, ss. 324-343. Hamrin, S. , Johansson, C. & Jahn, J. L. (2016). Communicative Leadership : Fostering co-worker agency in two Swedish business organizations. Corporate Communications. An International Journal, vol. 21: 2, ss. 213-229. Bäckström, I. , Ingelsson, P. & Johansson, C. (2016). How Communicative Leadership influences co-workers’ health : A Quality Management perspective. International Journal of Quality and Service Sciences, vol. 8: 2, ss. 143-158. Grandien, C. & Johansson, C. (2016). Organizing and disorganizing strategic communication : Discursive institutional change in dynamics in two communication departments. International Journal of Strategic Communication, vol. 10: 4, ss. 332-351. Linnell, M. , Johansson, C. , Olofsson, A. , Wall, E. & Öhman, S. (2015). Enhancing public resilience : A community approach. Planet@Risk, vol. 3: 1, ss. 33-44. Johansson, C. , Miller, V. D. & Hamrin, S. (2014). Conceptualizing communicative leadership : A framework for analysing and developing leaders’ communication competence. Corporate Communications. An International Journal, vol. 19: 2, ss. 147-165. Bäckström, I. , Ingelsson, P. & Johansson, C. (2014). Health Related Quality Management Values and Key Principles of Communicative Leadership - Are They the Same?. Quality Innovation Prosperity, vol. 18: 1, ss. 59-72. Johansson, C. & Stohl, C. (2012). Cultural Competence and Institutional Contradictions: The Hydropower Referendum. Journal of applied communications research, vol. 40: 4, ss. 329-349. Johansson, C. & Ottestig, A. T. (2011). Communication executives in a changing world: Legitimacy beyond organizational borders. Journal of Communication Management, vol. 15: 2, ss. 144-164. Grandien, C. & Johansson, C. (2011). Institutionalization of communication management in organizations – A theoretical framework. Corporate Communications. An International Journal, vol. 17: 2, ss. 209-227. Johansson, C. & Heide, M. (2008). Speaking of Change : Three communication approaches in studies of organizational change. Corporate Communications. An International Journal, vol. 13: 3, ss. 288-305. Johansson, C. (2007). Goffman's sociology : An inspiring resource for developing public relations theory. Public Relations Review, vol. 33: 3, ss. 275-280. Johansson, C. (2007). Research on Organizational Communication : The Case of Sweden. Nordicom Review, vol. 28: 1, ss. 93-110. Johansson, C. (2006). No problems utom nyanserna : Engelskan dominerar i de svenska storföretagen. Språkvård, : 1, ss. 30-36. Johansson, C. (2018). Leadership Communication. I The International Encyclopedia of Strategic Communication. Online : John Wiley & Sons. S. 1-16. Johansson, C. (2018). Lång väg till hållbart ledarskap för klimatet. I Snabbtänkt : Reflektioner från valet 2018 av ledande forskare. Sundsvall : Demicom, Mittuniversitetet (DEMICOM rapport). Johansson, C. (2018). On Goffman : Researching relations with Erving Goffman as pathfinder. I Public relations and social theory : Key figures, concepts and developments. New York, NY : Routledge. S. 252-271. 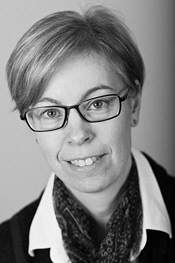 Johansson, C. (2015). Empowering employees through communicative leadership. I Organizational and Strategic Communication Research : European Perspectives II. Braga : CECS - Centro de Estudos de Comunicação e Sociedade Universidade do Minho. S. 85-110. Johansson, C. (2011). Kommunikation vid organisationsförändringar. I Strategisk kommunikation : Forskning och praktik. Lund : Studentlitteratur. S. 257-282. Johansson, C. (2011). Meningsfylld förändring : Chefers och medarbetares förståelse av en organisationsförändring. I THULE : Kungl. Skytteanska Samfundets Årsbok 2011. Umeå : Kungl. Skytteanska Samfundet. S. 143-155. Johansson, C. (2009). On Goffman: Researching relations with Erving Goffman as pathfinder. I Public relations and social theory : Key figures and concepts. London : Routledge. S. 119-140. Johansson, C. (2005). Svensk forskning om organisationers kommunikation : illusion eller vision?. I Organisationers kommunikation - illusion eller vision?. (Communiqué). S. 8-39. Johansson, C. (2018). Managing chaos through crisis communication leadership. Paper presented at the 104th Annual Convention, National Communication Association, Salt Lake City, USA, November 8-11, 2018. Linnell, M. , Johansson, C. , Olofsson, A. , Wall, E. & Öhman, S. (2014). Enhancing public resilience : A community approach. I Proceedings of the International Disaster and Risk Conference IDRC Davos 2014 : Extended abstracts. Davos : . S. 541--544. Johansson, C. , Hamrin, S. & Jahn, J. L. (2013). Communicative leadership : Leaders and members reflecting on leadership and communication. Paper presented at the International Communication Association's 63rd Annual Conference, June 17-21, 2013, London, Great Britain. Johansson, C. (2013). Discursive constructions of crisis and normality during the 2008 financial crisis. Paper presented at the Nordmedia Conference, Oslo and Aakershus University College, Norway, 8-11 August, 2013. Bäckström, I. , Ingelsson, P. & Johansson, C. (2013). Health Related Quality Management values and Key principles of Communicative Leadership - are they the same?. I 16th QMOD conference on Quality and Service Sciences ICQSS,4-6 September 2013, Portoroz, Slovenia : From LearnAbility and InnovAbility to SustainAbility.. S. 164--177. Johansson, C. & Hamrin, S. (2012). What is a "communicative" leader? : Leaders and their employees making sense of leadership and communication. Paper presented at the ECREA 2012, the 4th European Communication Conference, 24-27 October, 2012, Istanbul, Turkey. Johansson, C. (2008). Discourse on organizational change in theory and practice : Paper presented at: ECC08, Second European Conference, Barcelona, Spain. Johansson, C. (2008). The communication process of change - a model of change communication in organizations : Paper presented at: Euprera 2008 Congress, Milan, Italy. Johansson, C. & Ottestig, A. T. (2007). Communication executives in a changing world: Legitimacy beyond organizational borders : Paper presented at: Euprera/Loke conference, Roskilde, Denmark. Johansson, C. & Ottestig, A. T. (2007). Communication executives in a changing world: Legitimacy beyond organizational borders : Paper presented at: The 18th Nordic Conference on Media and Communication, Helsinki, Finland. Johansson, C. (2007). Kommunikation vid förändringar. Tidigare forskning ger nya förutsättningar : Communicare 2007. Johansson, C. & Heide, M. (2007). Speaking of change - A review of new communication approaches to the study of change : Paper presented at: 18th Nordic Conference on Media and Communication, Helsinki, August 16-19, 2007. Johansson, C. (2006). Kritiska perspektiv på organisationers kommunikation : Varför behövs de?. I Makten över kommunikationen. Sundsvall : (Communique). S. 14--29. Johansson, C. (2005). Engelska som koncernspråk - när kommunikationen går över gränserna : Paper presented at: The 17th Conference on Media and Communicaions, Ålborg Danmark. Johansson, C. (2005). "Man har svårt att uttrycka nyanser" : när engelskan är koncernspråk. I Språk på tvärs : rapport från ASLA:s höstsymposium, Södertörn, 11-12 november 2004. Uppsala : (ASLA:s skriftserie). S. 187--199. Johansson, C. (2005). Research on organizational communication - The case of Sweden : Paper presented at: First European Communication Conference, Amsterdam, Holland. Johansson, C. (2005). Research on Organizational Communication - The Case of Sweden : Paper presented at: International Communication Association, Dresden, Germany. Johansson, C. (2005). Visions and realities - Discourse in a strategy communication process : Paper presented at: International Communication Association 55th Annual Conference. Communication: Questioning the dialogue. May 26-30 2005. New York, USA. Johansson, C. (2003). Visions and realities - A case sudy of coporate communication : Paper presented at: The 16th Nordic Conference on Media and Communication, Kristiansand, Norge. Johansson, C. (1998). Group management constructing strategy : Paper presented at: AFinLA:s autumn symposium, Åbo, Finland. Johansson, C. Visions and realities. Discourse in a strategy communication process. Johansson, C. (ed.) & Hedman, L. (ed.) (2005). Organisationers kommunikation : illusion eller vision?. Sundsvall : Mittuniversitetet (Communiqué ). Johansson, C. & Bäck, E. (2015). Nätverksledarskap för samordning vid kriser : En studie av skogsbranden i Västmanland. Sundsvall : Mittuniversitetet (DEMICOM rapport 25). Linnell, M. & Johansson, C. (2014). A literature review on community approaches that involve the public in crisis management : Fostering community resilience through coproduction by response organisations and citizens. Linnell, M. , Johansson, C. , Olofsson, A. , Wall, E. & Öhman, S. (2014). Experiences and requirements for a community approach involving social groups in crisis preparedness and response. Jalakas, A. & Johansson, C. (2014). Kommunikation som ger samhällsnytta : Kommunikationens värde i trafikverket. Sundsvall : Mittuniversitetet (DEMICOM rapport 16). Öhgren, J. & Johansson, C. (2014). Sociala intranät för kommunikation och lärande : En studie av Svenska Spels intranät Hemmaplan. Sundsvall : Mittuniversitetet (DEMICOM rapport 15). Johansson, C. & Olsson, J. (2013). Kommunikationens värde i offentlig verksamhet. Sundsvall : Mittuniversitetet (DEMICOM rapport 10). Johansson, C. , Jendel, L. & Ottestig, A. T. (2013). Nätverk för kriskommunikation : om myndigheters informationssamordning vid kriser. Stockholm : Myndigheten för samhällsskydd och beredskap (DEMICOM rapport 24). Lundgren, L. , Strandh, K. & Johansson, C. (2012). De sociala intranätens praxis : Användning, nytta och framgångsfaktorer. Sundsvall : (DEMICOM rapport 5). Lundgren, L. , Strandh, K. & Johansson, C. (2012). The practice of social intranets : Usage, Benefits and Success Factors. Sundsvall : Mid Sweden University (DEMICOM rapport 7). Johansson, C. , Miller, V. D. & Hamrin, S. (2011). Communicative leadership : theories, concepts, and central communication behaviors. Sundsvall : Mittuniversitetet (DEMICOM rapport 4). Johansson, C. (1997). Kommunikation i ett företag : Två dagar hos en avdelningschef. Uppsala : Uppsala univ (TeFa 23). Johansson, C. (1995). Skrivande och kön i utbildningsdebatten : En undersökning av journaliststudenters debattartiklar i könsperspektiv. Uppsala : Uppsala univ (TeFa 10).